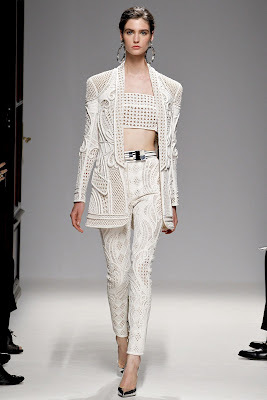 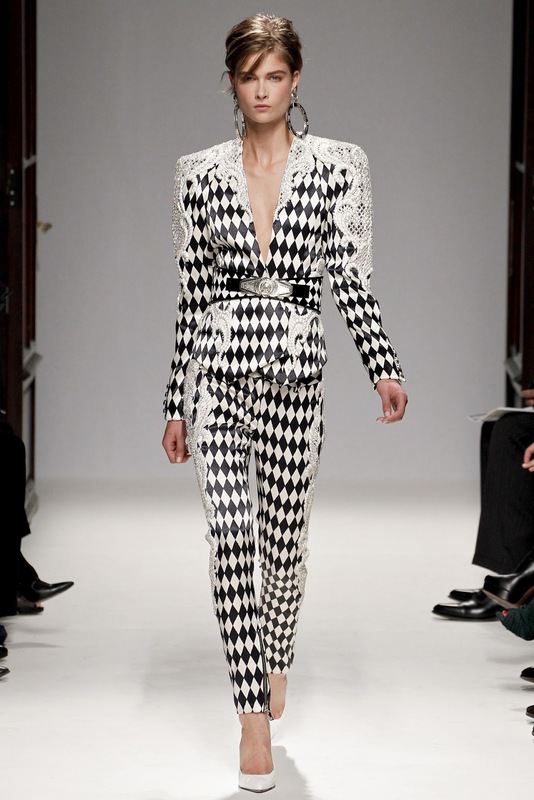 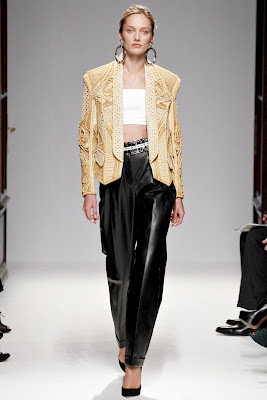 Balmain showed their Spring Summer 2013 collection during Paris Fashion Week and as always there was a lot of extremely shoulder padded clothes going on which is the signature of the brand. 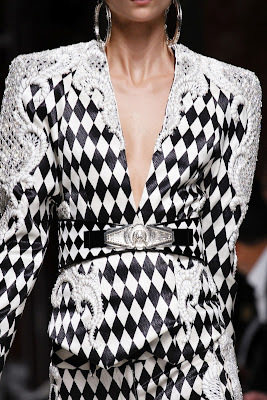 The black and white diamond-shaped pattern actually reminded me of the 80s in Hong Kong where people wearing HUUUGGEEE shoulder pads and big round earrings, dancing on the dance floor in "disco" during that time. 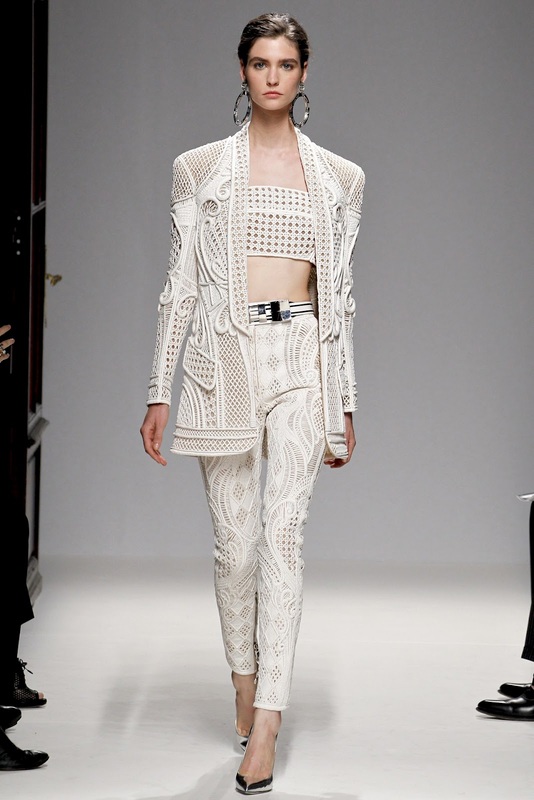 One of the highlights must be the embellishment and embroidery of the dresses. 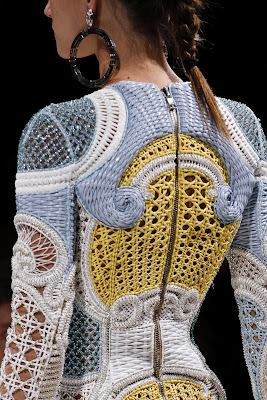 My favourite is probably the white, yellow and light blue dress with embroidery details, which is like an framed art piece. 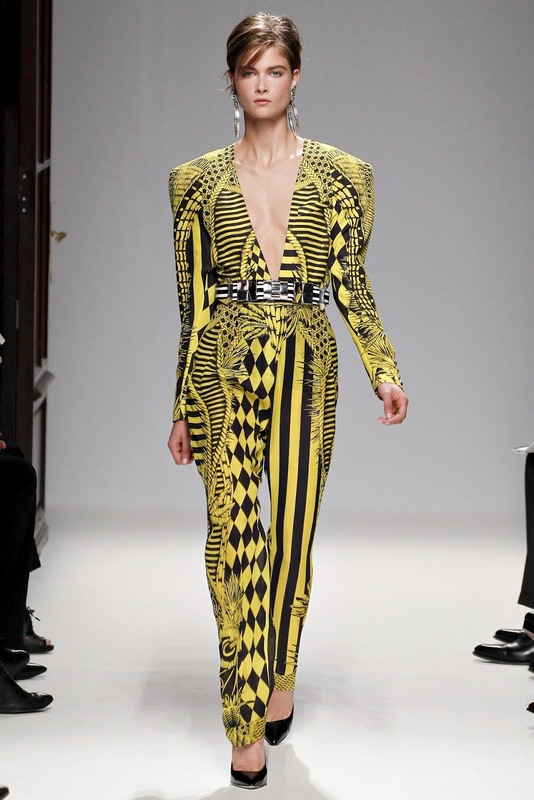 The other amazing thing must be the yellow/black printed total look. 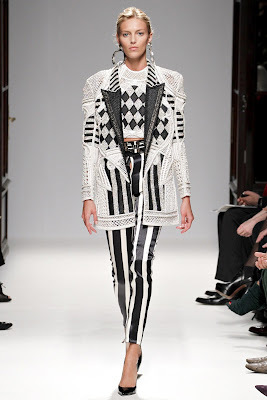 It is catching people's eyes. 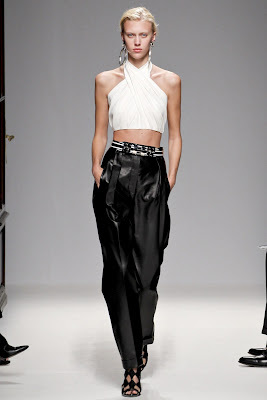 Other than these wild loud pieces, perfectly tailored pants and cropped tops put a little bit of elegance in the collection. 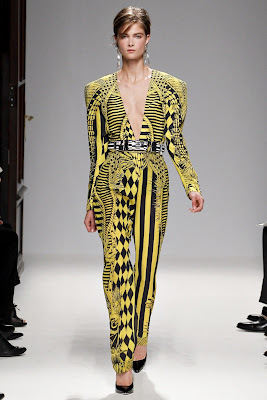 All the features in this collection were vintage and extravagant at the same time and it made me think of the interior of an old European palace. Everything was very eye-catchy and sparkling. 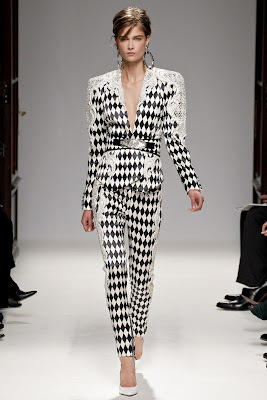 I am already seeing Anna Dello Russo wearing these beautiful pieces on street with her sooner available H&M pieces.